This paper uses a case study approach to explore the internal structure of complex nominal groups in written business discourse. A one-million word corpus of banks' corporate annual reports was compiled, and complex nominal groups with business as head noun were analyzed in terms of functions and logical relationships. The analysis shows that in the business English texts, complex nominal groups have distinctive functional and logical structures as well as particular patterns of co-occurrences among multiple premodification. Classification was found to be the main function of the experiential structure, with sub-modification used for further specifying the head referent. The co-occurrences of premodifiers also show the tendencies of functional associations underlying the configuration of the experiential structure. These findings suggest the distinctive register features of the informational writing in the written business discourse. The paper concludes with pedagogical implications of the findings for the teaching of business English to language learners. Current corpus-driven research on phraseology has paid much attention to the description of the characteristics of collocations and semantic prosodies through investigating general or specialized corpora of academic and professional texts (e.g. Durrant, 2009; Gledhill, 2000; Nelson, 2006; Walker, 2011). Nelson (2006) examined the semantic associations of words in a corpus of spoken and written Business English, showing how words in the business lexical environment semantically interact with each other. Walker (2011) described how a corpus-based investigation of the collocational behaviour of key lexis can help in the teaching of Business English. A vast body of phraseological research has also been conducted on the form and function of frequency-based lexical bundles in academic and scientific writing (e.g. Adel & Erman, 2012; Biber & Barbieri, 2007; Grabowski, 2015; Hyland, 2008). While these research studies have enhanced our understanding of the collocational patterns and the use of formulaic language in academic and professional discourse, frequency-based collocations and lexical bundles are not traditionally considered as distinct grammatical categories. A cursory survey of the literature in corpus linguistics, however, shows that the complex nominal group, though a well-established grammatical construction in traditional and contemporary English grammars, receives scant attention in the current corpus-driven phraseological research. Functioning as the subject, object or complement in the syntactic structure of a clause, the use of complex nominal groups increases the density of information in the written text, and at the same time, the level of comprehension difficulty to the reader. As Biber and Gray (2010) observed, the discourse style of relying on nominal structures in research articles, though highly efficient for academic professionals, is particularly challenging for novice students, as they are less able to infer the meaning of the compact, less explicit constructions. 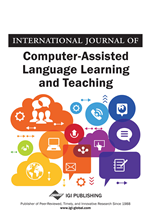 A systematic analysis of complex nominal groups will not only reveal the distinctive features of the complexity of language use in academic and professional communication, but also make a useful contribution to the current research on phraseology and formulaic language in corpus linguistics. More importantly, an investigation of structural patterns of complex nominal groups in Business English is of particular relevance to the teaching of English for Specific Purposes (ESP). For example, grammar practice in the ESP classroom often focuses on complex clausal structures, i.e., subordination and coordination clauses, but much less attention is given to phrasal structures, especially the multiple modification of nominal groups, due to the common perception that grammatical complexity of written language in Business English lies in clausal subordination. An investigation of complex nominal groups then will help in enhancing teachers’ existing knowledge of pedagogical grammars, so that they are able to make informed decisions in the design of ESP course and materials. The present study, therefore, aims to fill this gap by exploring the internal structure of complex nominal groups, i.e. nominal groups with multiple premodification (e.g. the financial services business, a very successful general insurance business, our private wealth management business), in the written texts of Business English, and following a functional approach, focuses specifically on the features of the constituent elements in the experiential structure and the patterns of variation in the logical structure. The study adopted Halliday’s functional grammar as the analytical framework, and chose corporate annual reports and CEO’s letters in the financial industry as the text samples for analysis.